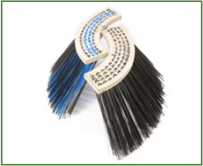 Our product range comprises large number of industrial brushes and supports the entire product life-cycle from R&D through pre-production to regeneration. 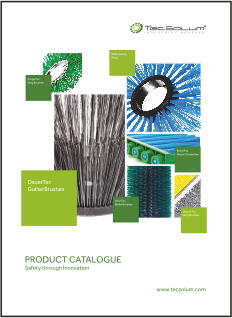 Please look at our full range of our products and if there is anything else you are looking for or would like to make an enquiry, please Contact Us. 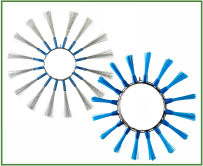 We produce ring brushes from 78 mm to 300 mm of inner diameter, made of crimped wire (0,70 mm) or PPN straight or crimped – from 1,0 mm to 3,0 mm. 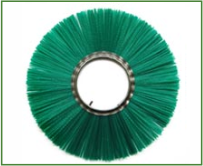 We offer PPN in various colors. 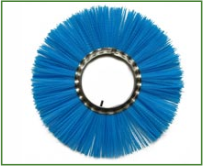 Outer diameter from 300 mm – 930 mm. 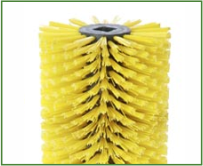 Roller brushes are produced on a plastic core with different end bushings. 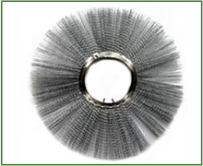 The fill material is PPN, or PPN mixed with crimped wire. 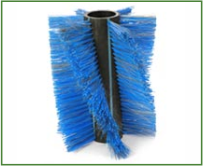 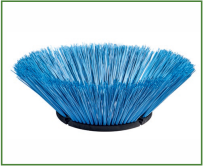 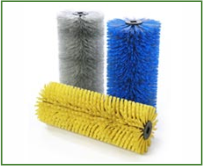 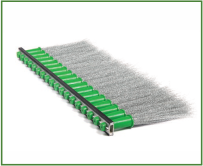 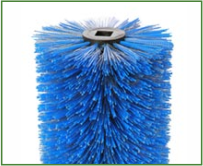 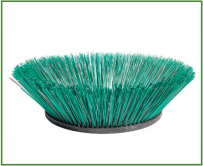 We offer standard roller brushes, but we can also produce brushes on demands of our customers. 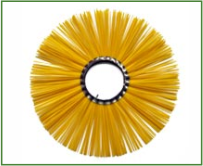 We produce gutterbrooms for all known machines on the market. 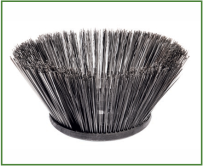 We can produce gutterbrooms made from pure flat steel or mixed with PPN and flat steel, or punched with PPN, and also mixed PPN and flat steel. 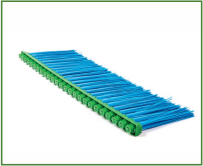 We offer both plastic and plywood plates. 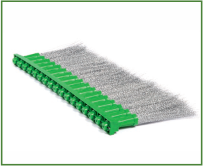 We offer cassettes and tufted rings, made of PPN and crimped wire – 0,45 mm.